Component is a section of Aux.Out. for one-off pieces, special editorials, and lost orphans of the music discussion. 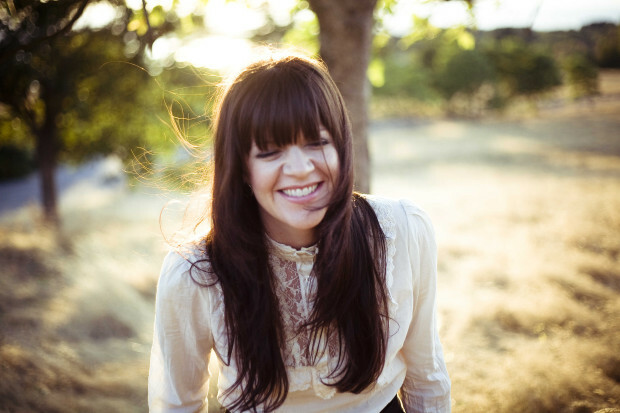 Today, Ryan Bort speaks with Shelby Earl about leaving Amazon in pursuit of becoming a songwriter at 37. Shelby Earl laughs as she nibbles on a half-eaten donut and sips from a cup of coffee at Dun-Well Doughnuts in East Williamsburg, Brooklyn. In town from Seattle for CMJ, she’s discussing her general state of mind since quitting her job at Amazon in 2009 to pursue a career as a singer and songwriter. She was 33 at the time; now she’s 37, which I’m guessing is probably well above the mean age of artists appearing at a music conference meant to showcase up-and-coming talent. She loves it, though. Until she decided to leave behind a life of steady paychecks from one of the world’s most successful corporations, Earl’s story was not a particularly uncommon one. She played in a band and worked in the music industry throughout her twenties; the band was moderately successful but ultimately decided to call it quits for totally legitimate reasons. Then, with the scarier, post-twenties phase of adulthood looming, she tabled her artistic ambitions to settle into a more practical career. But in one of life’s paradoxes, as soon as Earl resigned herself to a sterile, office-bound existence full of long hours and bottom lines, the floodgates of creativity burst open and she began writing songs, almost uncontrollably, for the first time in her life. Six years later she’s her own boss, playing shows and doing interviews in New York in support of her second self-released solo album, Swift Arrows. Speaking of which, she needs to go to pick up the guitar she left at the venue last night. She gets a to-go bag for the other half of her donut. The venue is Pete’s Candy Store, and as it hosts Riot Act Media’s CMJ showcase the bar is crowded and loud and full of music industry people taking advantage of a generous PBR-and-a-shot special. 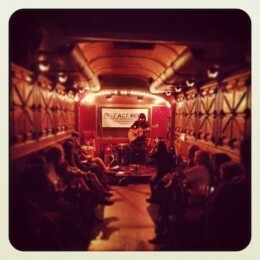 Beyond the din of networking, in a narrow back room that resembles the inside of some kind of wood-paneled school bus, a small audience sits still and quiet and attentive as Earl plays acoustic guitar and sings. In such an intimate setting, her deeply affecting songs register on an almost paralyzingly visceral level, her lyrics alternately, and sometimes simultaneously, wrenching hearts and lifting spirits. She is able to articulate the inherent messiness of life and love with such acuity and grace that to listen to her perform almost feels like trespassing on something that wasn’t meant for public ears, like hearing a musical rendition of someone’s diary. To take this in and then think about how Earl didn’t even begin writing songs until she was 30 is mind boggling, but discovering her gift later in life allowed her to color in mature, emotionally complex themes with a curiosity and freshness of spirit that’s rare, if not absent, from popular music. Just as some argue that a proper novel cannot be written until the writer has accumulated a certain amount of life experience, the same could be said for the kinds of songs that Earl writes. Rock and roll is an inherently youthful endeavor, but more than anything else, Earl is a storyteller. As she plays at Pete’s, people sit on the ground in front of the small stage with their legs crossed and knees pulled up against their chests, like schoolchildren being read to. Despite the often devastating ground her music covers, Earl does not have a closed-off or overly intense personality. Between songs she cheerfully engages with the crowd, almost as if to compensate for the minor chords her lyrics can strike in the hearts of those present. She smiles and jokes and introduces Joan Hiller, the owner of Riot Act, whose publicity services are some of the only third party help Earl enlists, and Hiller’s fiancé Matt Lemay, who both join Earl on stage for “The Artist”, a relatively playful song about being in a relationship with a creative person and their ego. She finishes her set with the biting title track off Swift Arrows, which she released in July, and someone passes around a donation basket. Watching Earl play at Pete’s were several of her friends from Seattle, as well as living legend of the Pacific Northwest music scene and Sub Pop co-founder Jonathan Poneman, who stood at the opposite end of the school bus venue from the stage, where the emergency exit with that big red lever would be. Also present was Travis Klein, an audiophile with a predilection for Seattle music who just opened a record store, Human Head, in Williamsburg. He came out to see Earl because he met her on an airplane traveling from Seattle to New York four years earlier, just when Earl was deciding to leave Amazon. Sometimes the world of independent music can seem impossibly small, and, as Earl is now constantly reminded, it’s full of serendipitous little miracles that you could spend a lifetime searching Amazon’s massive Seattle campus for and never find. While with The Hope, Earl worked in radio promotion for a local record label and as a booking agent at Seattle’s Experience Music Project. Around the time the band dissolved she parlayed her industry experience into a career in music retail at Amazon. She resigned herself to only working in the industry “day job style,” but also started taking guitar lessons and trying to write songs of her own on the side. Before long she was scribbling down turns of phrase in the middle of meetings.